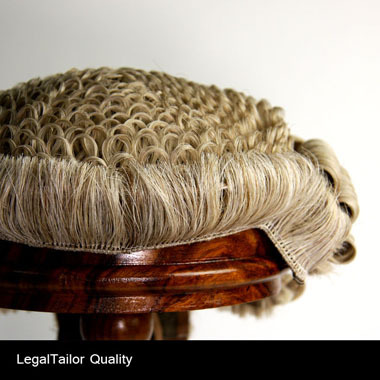 Please have a close look at one of our wigs. 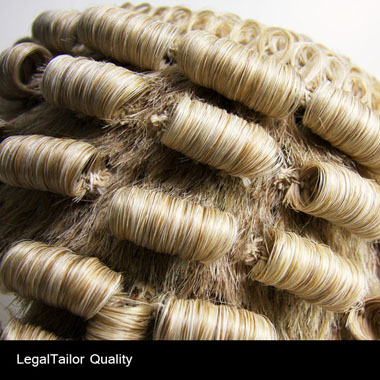 Below we take you on a tour of our Barrister Horsehair wigs. The enclosed photographs are of our wigs, and our competitor's wigs, and are both taken in equal and fair lighting and photography conditions. 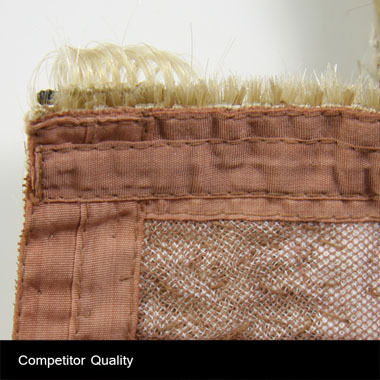 On the inside, our wig has invisible French hand stitching, much similar as our competitor�s best. 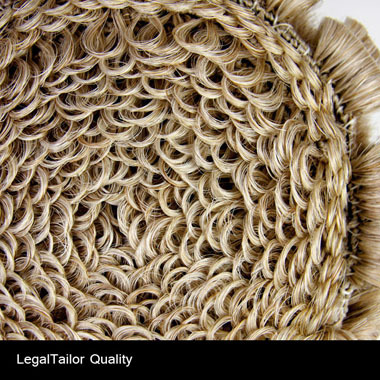 The inside skeleton of the wig fabric is a hard wearing cotton fabric, that is excellent at hold together a wig for a lifetime, but feels rough, itchy and uncomfortable on touch with the skin. We solve this problem, see below. To cover up the hard skeleton, we put a soft, breathable cotton cap on the inside of the wig (The above picture is the inside before the cap is built in). 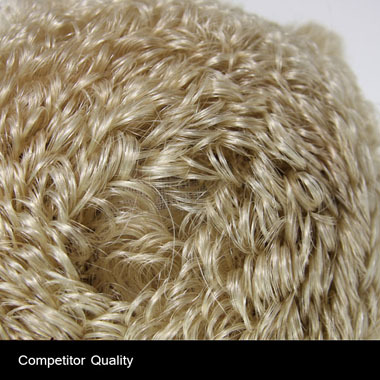 After all your comfort is ultimately most important detail and the wig is designed to last longer than even a new car! 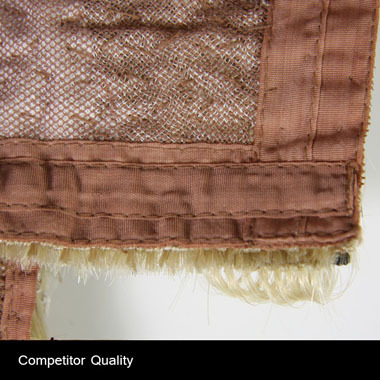 So It is important to be strong and durable but yet comfortable for the lifetime of the wig. Imagine it to be like the bonnet of your car. 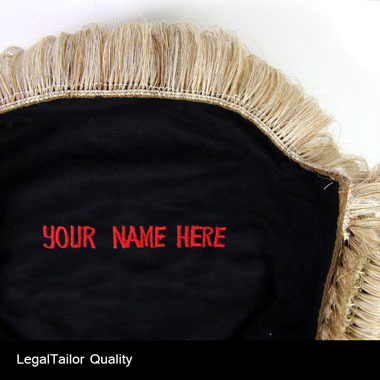 We hand sew your name onto a black cloth and sew the cotton cap to the inside of your wig. 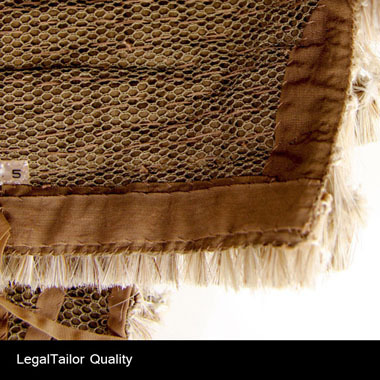 This is the ultimate security feature of a wig, as it helps deter theft or mistaken borrowing of your wig. 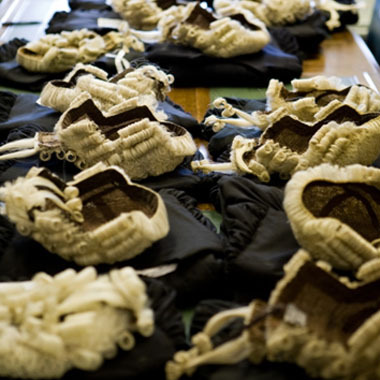 Unfortunately, a huge amount of wigs and gowns go missing. 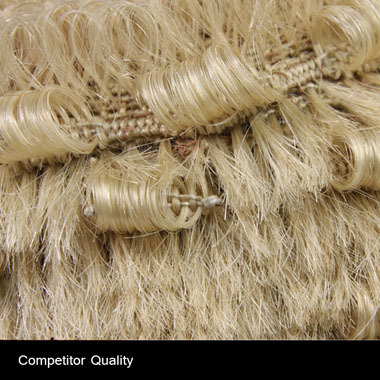 With your name sewed firmly on the inside, it would deter any theft from wearing this wig. 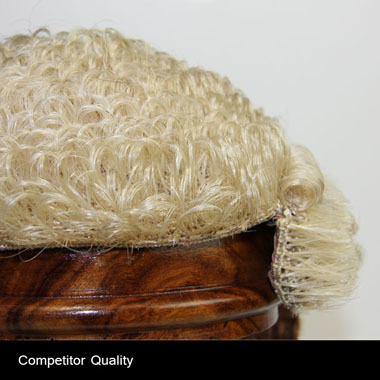 They would much rather steal one of our competitor�s wigs, which all look the same. High Density curls with close weaving, that is rigorously tested to hold its shape and not to bald during midlife if treated properly. 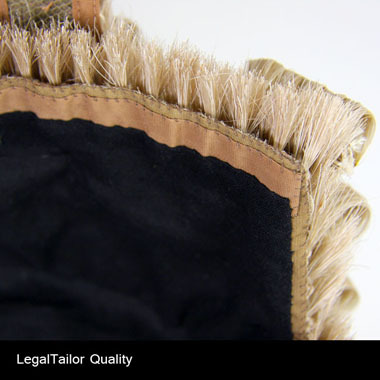 Reinforced front fringe, designed to stand up well and hold shape, and be presentable. Evenly spaced curls covers the entire wig top.